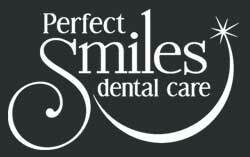 You’ll appreciate Perfect Smiles Dental Care’s easy and convenient location in Lenexa, Kansas. We are located between I-35 and I-435 and visible from 87th Street Parkway. Candlelight Lane is one-block west of Pflumm Road on the north side of 87th Street Parkway. Our cream-colored, Mediterranean-styled, two-story building with the red tiled roof is located on the west side of Candlelight Lane right next to Rising Star Elementary School. Our dental office is located on the first floor on the lower parking lot. If you get lost and don’t have a map or GPS, please call us and our awesome front office administrators will stay on the call with you until you reach our office.